Arizona Outdoor Fun Rentals will happily answer your questions and provide any information that you need. Simply fill out the form below, click "Submit" and your request will be forwarded to Arizona Outdoor Fun Rentals for their prompt attention. Arizona Outdoor Fun Rentals, LLC is your complete one-stop shop for all your Arizona outdoor recreation fun. Our company is a group of dedicated native Arizonians – born and raised in Arizona and with the owner’s family going back 150 years right here in Arizona. We’re setting the Arizona standard for customer service. You can’t go wrong! We offer ATVs, Rhinos, Dirt Bikes, Wake/Ski Boats, Jet Skis, Pontoons, Fishing Boats, Canoes, Kayaks and guided tours on sny item. 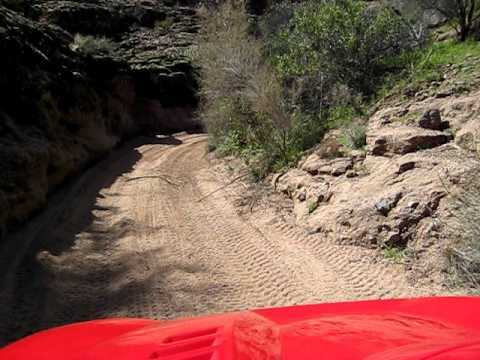 Our off-road adventures are one of the best ways to see Arizona’s Sonoran Desert; our company strives to provide the best Arizona desert experience around. We ride through canyons, over mountains and next to flowing rivers offering the ultimate Arizona desert off-road ride. Our personal watercraft, also known as Jet Ski, Sea doo, Skidoo and Waverunners, are a thrillseeker’s dream. We feature the awesome, turbo charged Honda Aquatrax PWC – the 10-foot long three-seat water devouring monster that screams across the water at 70 mph. It performs, handles and blasts through the waves for extreme fun. Or carve up the glass water and explode off the wake in any of our wake/ski boats. Improve your skills with wakeboarding and ski lessons from our expert instructor. You can also enjoy a relaxing, fun filled day at the lake on a Pontoon, our pontoons are fully loaded with water toys, a wakeboard, skis, a water tube, a fish finder, a stereo and even a BBQ. With plenty of room for family and friends, a pontoon boat is the versatile way for all to have fun. Fish Arizona! Come on out and hook up with the big one, our fully loaded tournament fishing boats will get the job done. Rent the boat and go fish or have the fishing guide along with you, either way we have all the gear needed so go fishing! Kayaks and canoes are Arizona’s secret thrill ride. Experience parts of Arizona that are completely undisturbed. Kayak and canoe river runs are an awesome way to see Arizona’s back country and plenty of wild life, and to ride some amazing rapids. This adventure is rated the #1 Arizona experience by our customers Or hold on tight to any of the crazy awesome inflatable water tubes, some of the most fun on the water, you’re in for the ride of your life. At Arizona Outdoor Fun, we offer a guided and unguided tour with all rentals and feature Arizona’s best “Show Up and Ride” with hotel pick up available. We welcome all large groups with competitive rates and great package deals including transportation, multi-event planning, and 3rd party catering. All riders choose the type of off-road vehicle and engine size they want to ride. All riders ride at their own pace. Have fun and break whenever you want. All riders get the whole time provided, either ½ or full day. All riders get maps, water, extra fuel, ice chest with water, helmets, goggles and gloves. All off-road rentals are nice, new, reliable, and what you want. Helmet cam / digital cam videographer. Our goal is to be the best all-in-one COMPLETE OUTFITTER AND #1 IN CUSTOMER SERVICE!